New Walmart Shipper Making The Rounds! 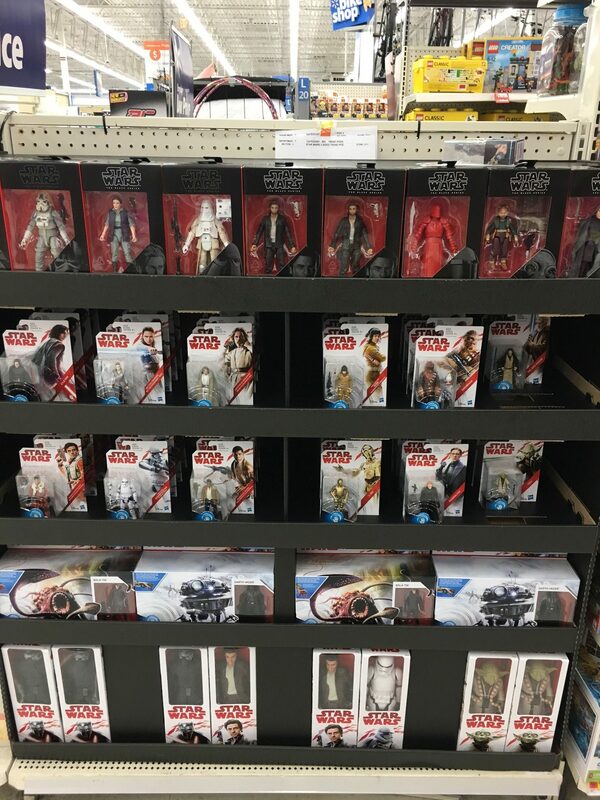 JTA Reader MaxOfRen shares with us a new Walmart shipper he discovered today at a Walmart in Birmingham, AL. 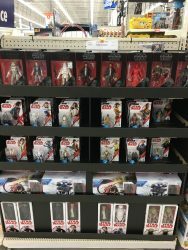 As you can see, it is stocked with the latest wave of 6″ Black Series, 3.75″ Force Link figures (including Obi-Wan and Yoda), and the latest 12″ figures (including Poe Dameron and Yoda). It will be nice to see these hit stores in some larger quantity. I personally haven’t seen the Maz wave in any stores near me yet.